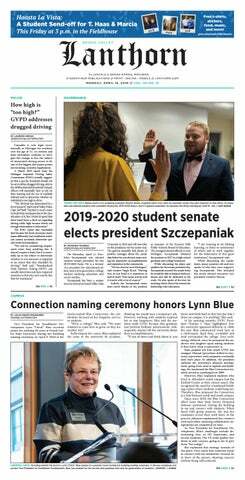 Annually, Grand Valley State University’s Spotlight Productions searches for the funniest student or faculty member through the Last Laker Standing competition. In mid-January, Spotlight began its audition process. On Feb. 7, 10 selected individuals competed in the semi-finals. After each of them performed seven minutes of material, they selected Aaron Schuitema, Owen Hurley, Lawrence Ensminger and Ginger Ambrosia to go head-to-head in the finals on Feb. 14. After a night full of laughter, Schuitema was crowned GVSU’s 2015 Last Laker Standing. This competition wasn’t Schuitema’s first time doing stand-up. The comedian combined parts of his old acts and new jokes for a winning performance. The comedian not only won the title of Last Laker Standing, but also a Keurig to brew tea – coffee isn’t his drink of choice. Throughout the year, Schuitema will host a variety of Spotlight events including the Saturday Night Dives. Over the years, the Last Laker Standing has performed not only for his GVSU peers, but also for the Grand Rapids LaughFest. “A great way to start out is LaughFest," Schuitema said. "That is where I performed first a couple of years ago." Winning Last Laker Standing was just a stepping stone for Schuitema, who will continue to perform comedy. His next performance will be at McFadden’s Restaurant & Saloon in downtown Grand Rapids on March 12 for the LaughFest College Stand-up Showcase. For more information, visit www.laughfestgr.org.